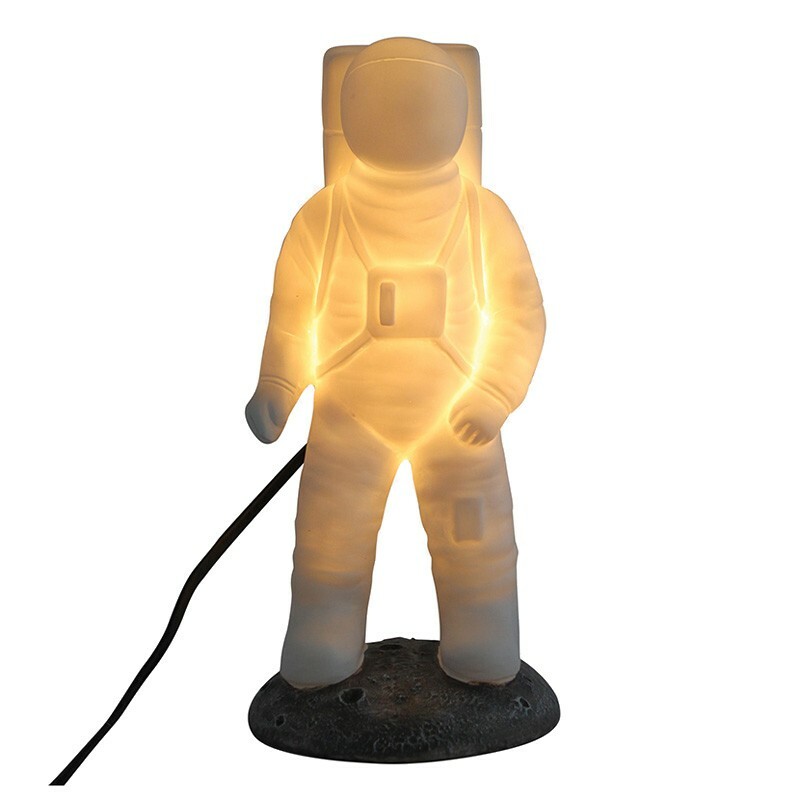 Create a lighting feature which is simply out of this world with the Spaceman Lamp! 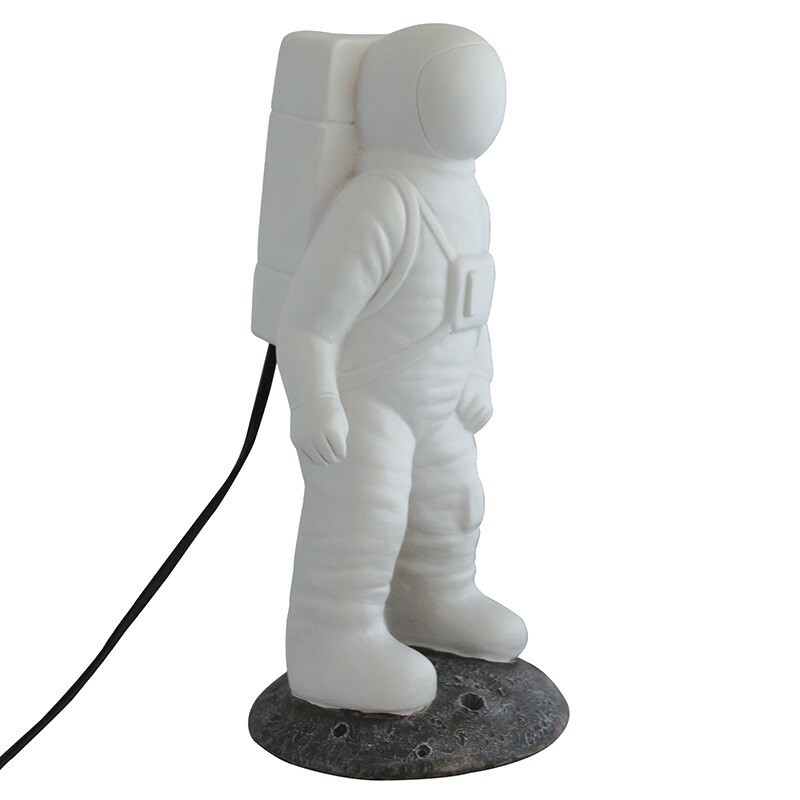 This novelty astronaut desk light from Disaster Designs will add a cheerful edge to any surface, and would also make a brilliant night light for a child’s bedroom! Made of smooth polyresin, this stylish space-walker emits a soft starry glow to your chosen spot. 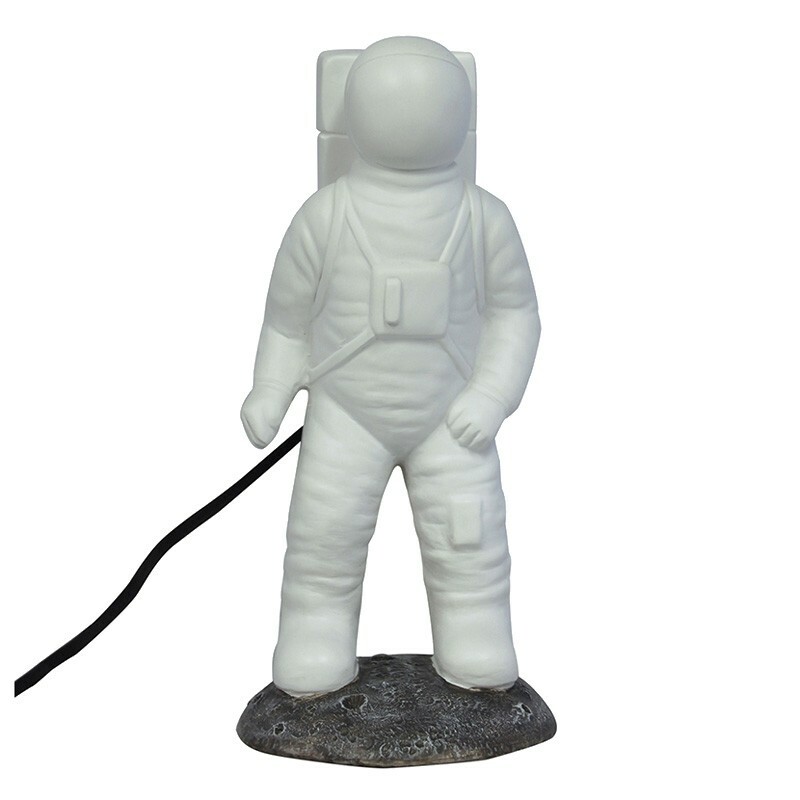 This intrepid explorer is also standing on the surface of the moon - adding extra interest to this quirky design. 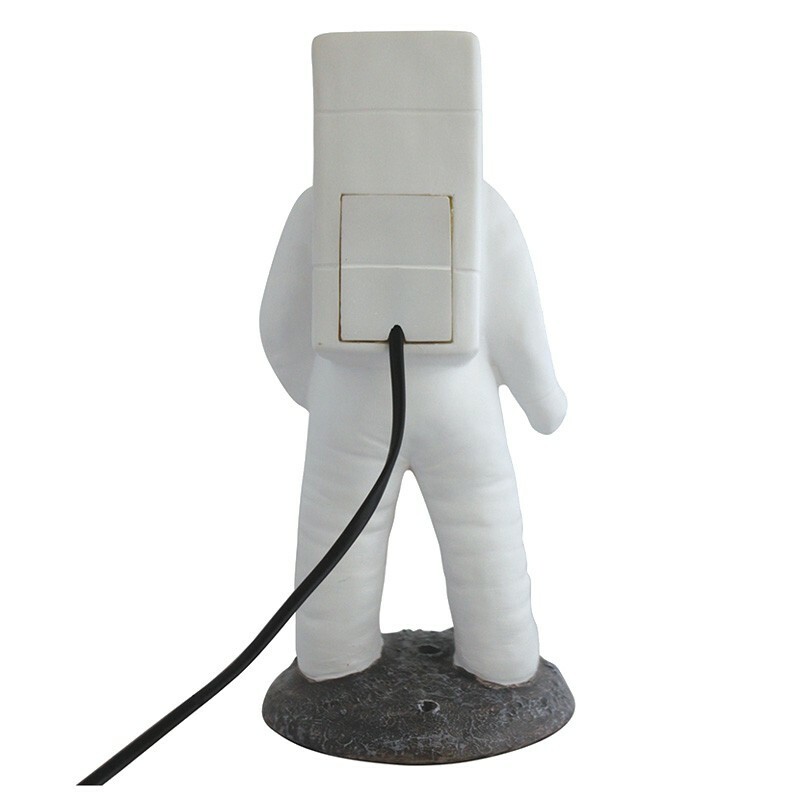 And much like a real astronaut, this funky light has a lifeline attached to him whilst he does his moon walk - in the form of a cable that attaches to the mains. 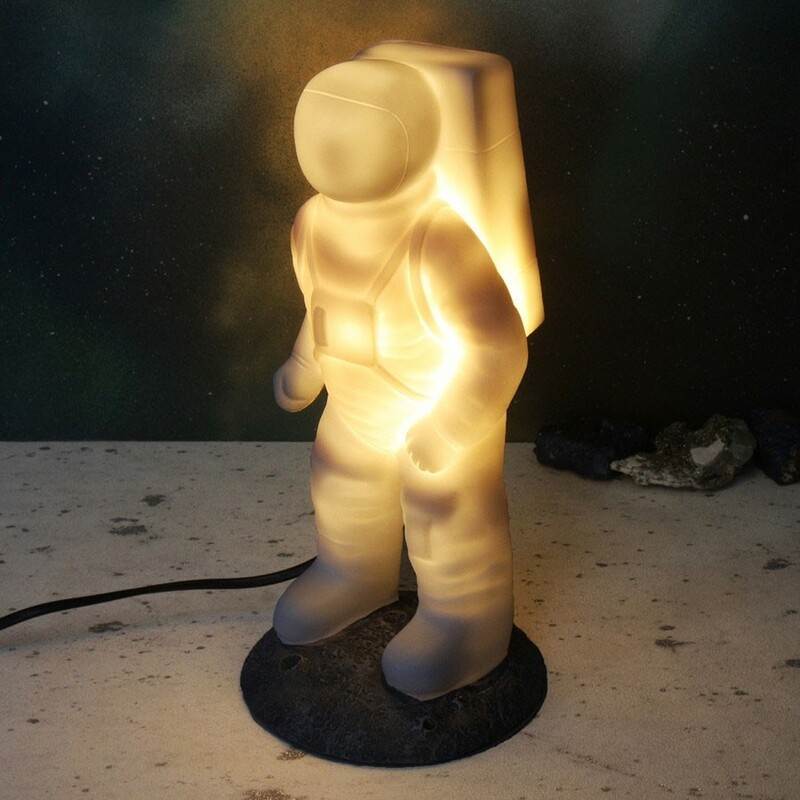 It doesn’t take a rocket scientist to realise that this characterful lamp has the potential to be a memorial gift for anyone - you or old - who is fascinated by outer space. The only problem, Houston, is that all household will want one for their rooms! Check out the rest of Disaster Design’s characterful desk lights on the right hand side of the page - including robots, dinosaurs and animals!